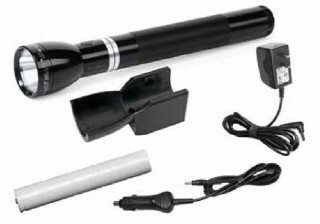 A rechargeable LED light system with spot to flood focus in turn of the head, and programmable output function modes. Light Output:High 643 lumens, Low 148 lumens, ECO 66 lumens. 12.81 long.